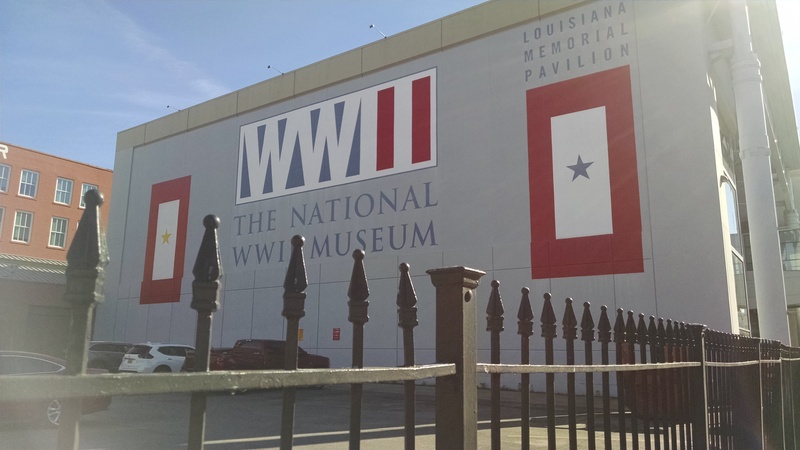 I have just returned from the National World War II Museum located in New Orleans, Louisiana. It did not disappoint! 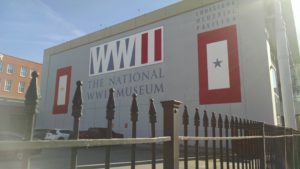 The museum is truly an honor to the generation that sacrificed so much to secure our freedom and will always remind future generations of the price paid. In size, the museum campus covers six acres with five multi-level pavilions, a period dinner theater, and two lovely places to eat on site. 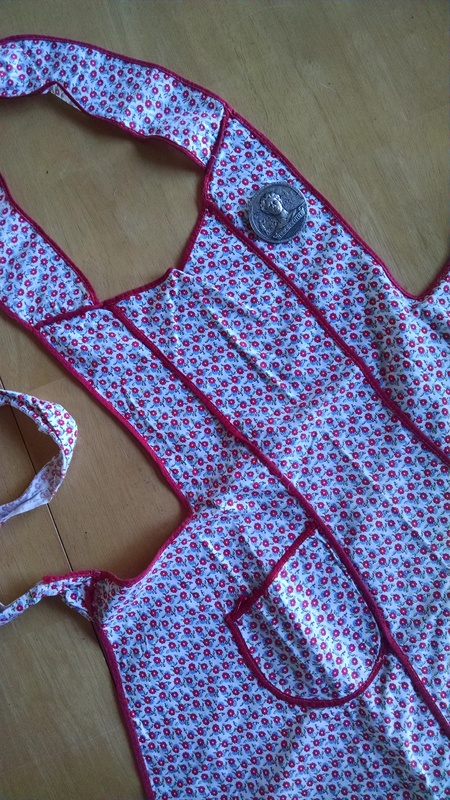 For period actors, a specialty shop offers gorgeous era-style clothing and accessories. 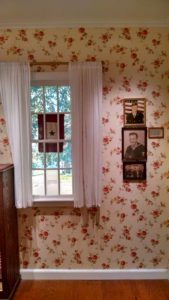 In the living room you’ll come upon a scene of a quiet evening at home listening to the radio and gazing upon photos of those serving in the war, hoping all are safe and will be home soon. Turning the corner out of the living room brings you to work. And lots of it! The displays of U.S. manufacturing efforts are incredible. Hello, Rosie! Must See: Beyond All Boundaries 4-D movie. There is no way to describe just how good this movie experience is. Hint: Sit in the first five rows for optimal viewing. And my trip is not over yet! 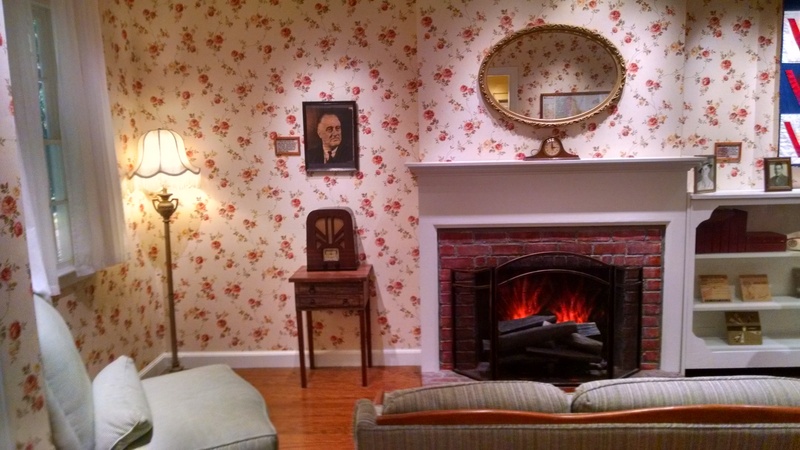 The museum’s digital collections allow anyone with an internet connection to explore personal stories and photos. 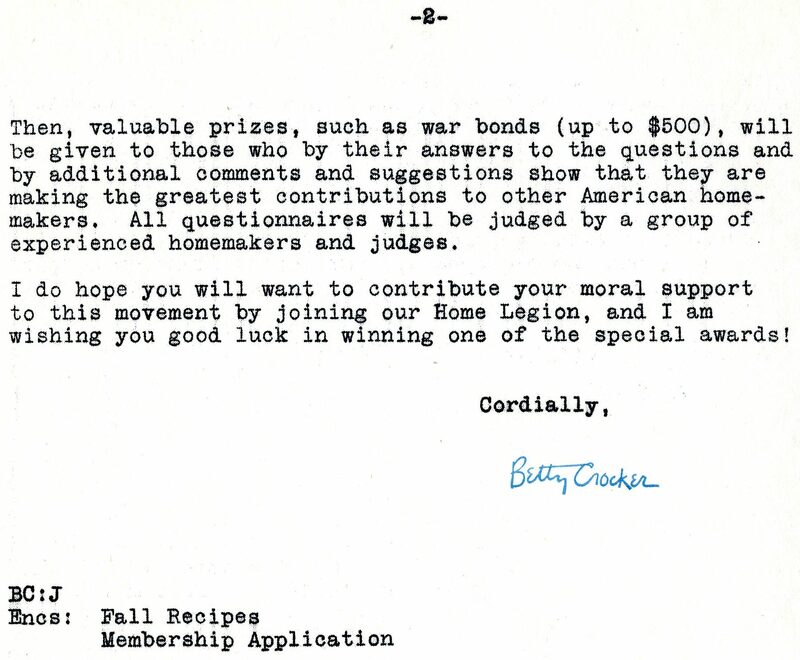 So read the Betty Crocker Home Legion membership application in Fall, 1944. 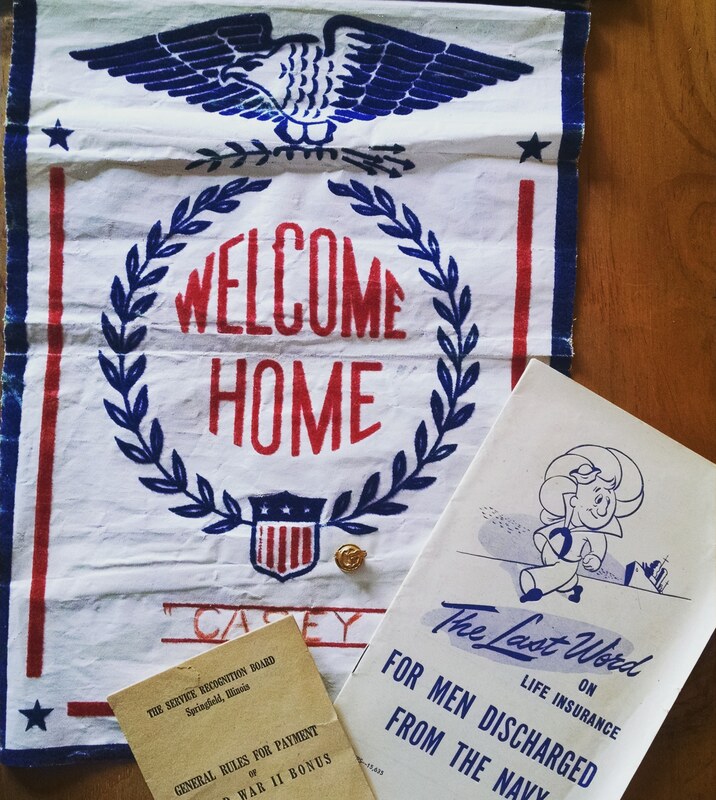 My endless search for home front keepsakes never fails to remind me of the goodness of people willing and supportive of a mission to honor and memorialize the women who held together the country and values of a nation at war. 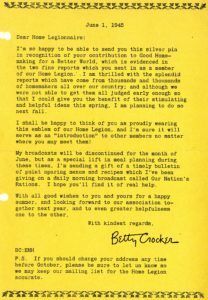 In October of 2018 I received an email from a soon-to-be friend in Texas who had found The War in My Kitchen through her own research of an item found that was too good to be true — The Home Legion Distinguished Service Medal. !!!! The gift of this medal was truly the 2018 highlight of The War in My Kitchen. 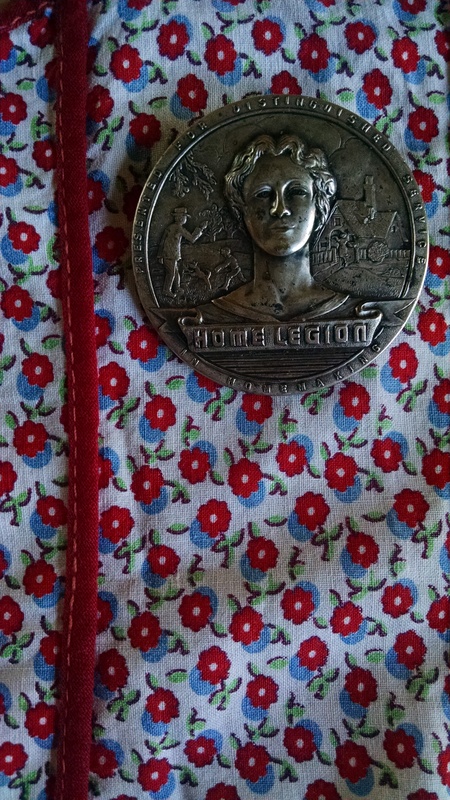 I had never come across mention of a Home Legion medal in all my research or reading and found it to be incredibly difficult to find any Google mention of it either. 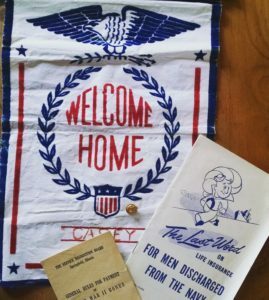 Piece by piece, through persistent emails, phone calls, and searches I was able to find just two more instances of the medal on auction sites and an honest-to-goodness, still-in-the-envelope Home Legion membership application. 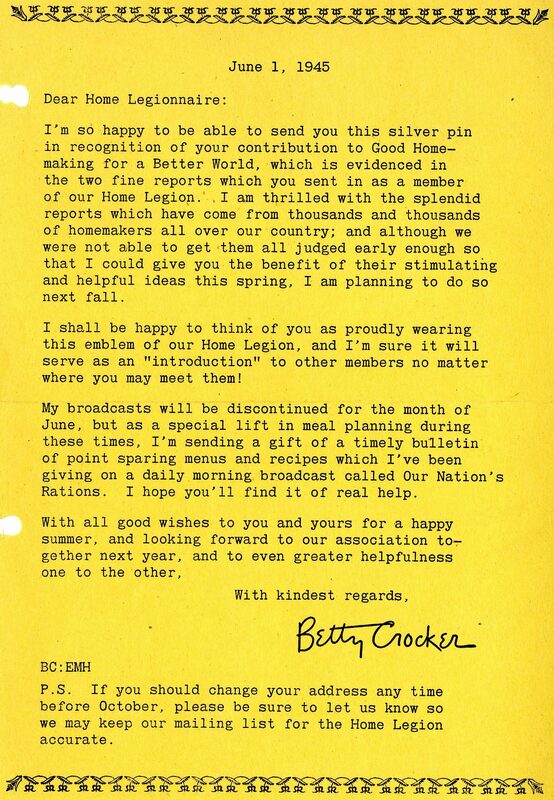 “The pin you have is indeed from the Betty Crocker Home Legion, started during World War II. 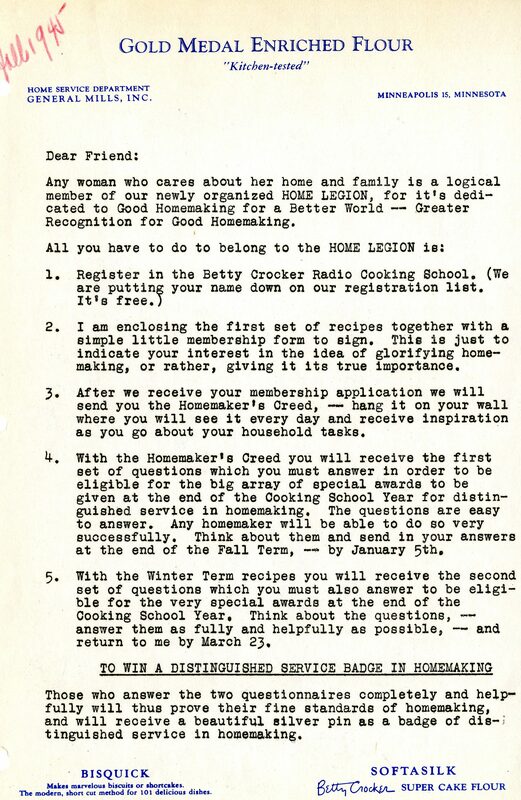 The Home Legion was dedicated to “Good Homemaking for a Better World” and “Greater Recognition for Good Homemaking”. It began in the fall of 1944 through the Betty Crocker Radio Cooking School. 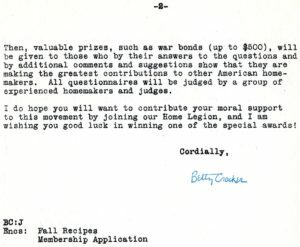 To join the legion a homemaker registered (for free) in the Betty Crocker Radio Cooking School. 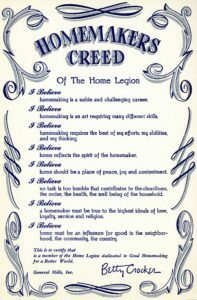 Once Betty received the membership application, she would send back the Homemaker’s Creed (a list of ideas and beliefs that legion members held to) and it could be hung up in the kitchen for inspiration. To receive the pin, two questionnaires had to be returned. 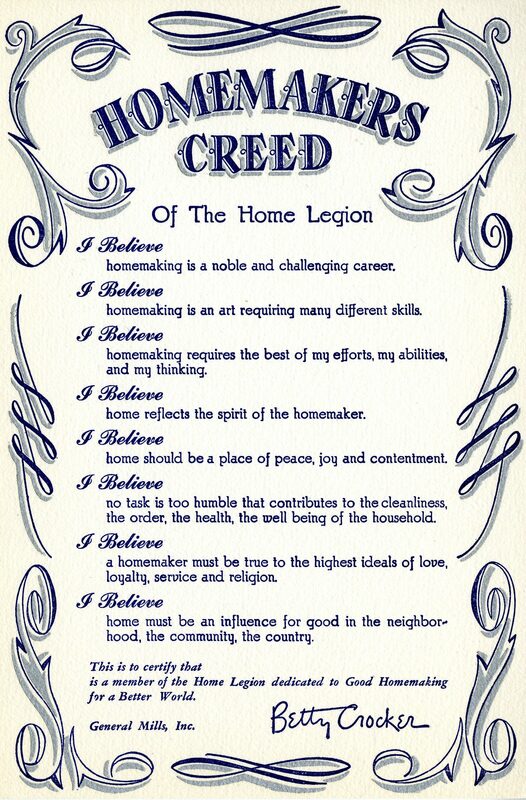 The first was sent out with the Homemaker’s Creed. It had to be returned before January 5, 1945. Questions on the first report included: “How do you make your meals fit your situation?” and “What do you do to insure taste, appeal, and eating satisfaction in your meals?” Then, later in January, the second questionnaire was sent. This one was a bit longer. 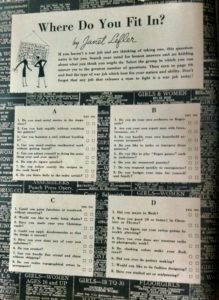 Questions on this one included: “What do you do to insure a smooth-running home?”, “What little tricks do you use for saving time and labor?” and “How do you practice thrift in conserving food, household supplies, and equipment?” The second questionnaire had to be received by March 23, 1945. 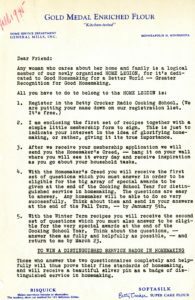 If both questionnaires were turned in on time, then the homemaker received that pin as proof that they were a distinguished member of the legion. So…here’s my task before January 5th: Reply here answering the first questionnaire — How do you make your meals fit your situation? What do you do to insure taste, appeal, and eating satisfaction in your meals? 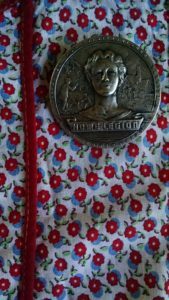 Wish me luck in earning the Home Legion Distinguished Service in Homemaking Medal! My responses will be posted in my next entry within deadline! If you’re like me, you hope that Mimi and Bill had a victorious reunion after the war and wonder if the bracelet and lavaliere set still have a home in a jewelry box somewhere. Imagine the story of jewelry crafted from a WWI bomber could tell! Pyrexware. Heck yeah, we girls want Pyrexware for Christmas! The 1943 ad for a relatively new series of Pyrexware helps us date the pieces that remain in use today. Notice the Pyrex Double Duty Casserole has a cover that can serve double-duty as a pie plate. Pyrex Pie Plates from the WWII era had ridged sides and in 1943 featured the first-ever easy-to-hold handles. The Pyrex Bowl Set of today still features the three nesting sizes sold 75 years ago — 2 ½, 1 ½ and 1 quart. “Look for this label for your own protection”. The logo was important because not all glassware was hot-to-cold shatter-proof at the time. Pyrex had been made of borosilicate since 1915. 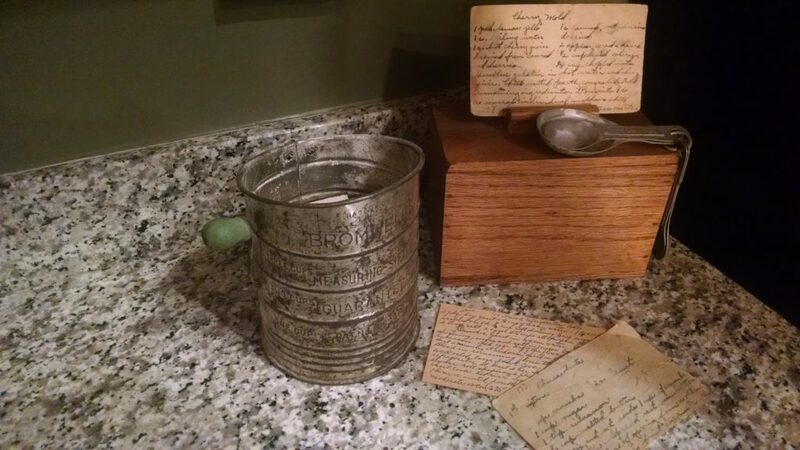 It was an innovative thermal safe glass that could go from boiling hot and remain safe if ice cold water were added. In 1998, when Corning sold Pyrex to World Kitchen, LLC, a Chicago manufacturer, the glassware sold in the U.S. was replaced with lime soda glass. Lime soda glass is more resilient to dropping (anyone else have a mother who was ecstatic about her non-breakable Corning Ware plates in the 1990’s), but not as thermal protective. Corning Glass Works is still around today, but only holds 8% interest in Pyrex (sold to World Kitchen, LLC). As the makers of Pyrex during the war, the company was also called on to produce searchlight lenses, Army tableware, hospital supplies and other in the scientific realm, which remains today as its primary focus. When was the last time you wore a corsage? Prom? Maybe Mother’s Day or for a wedding? Can you imagine if the corsage worn on any special day — a Sunday or night out — came back in style? 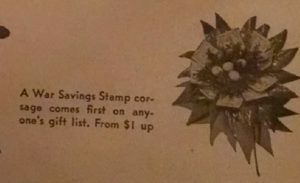 Money not wasted on flowers was better used to buy War Savings Stamps. 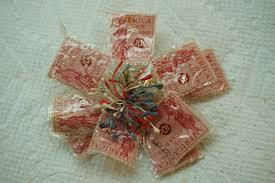 But, not wanting to be left out of the pretty tradition, the stamps were crafted into a corsage. How practical was it? It’s hard to say. 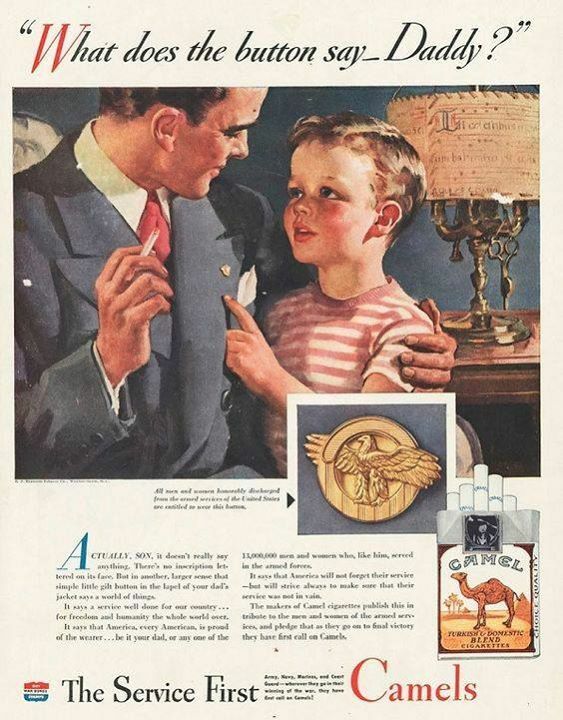 Magazines were allowed to stay in print through the war even when paper drives were held to aid in the war effort if they served the purpose of advertising war bonds. 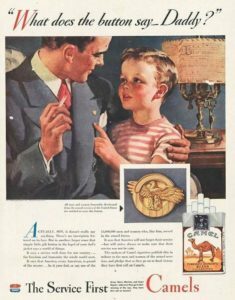 This ad was such an example of complying with the agreement. Discreetly tucked into articles and advertisements, such things are fun to spot and are a sign of the era. 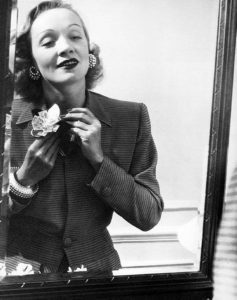 Marlene Dietrich pinning on a savings bond corsage. One hundred years ago today, at the eleventh hour of the eleventh day of the eleventh month, the First World War, which killed 40 million people, finally ended. Dubbed the ‘war to end all wars’, it was a day continuously prayed for and hoped for four years. Twenty-three years later the United States entered the Second World War against all hopes that it wouldn’t be necessary. What happened to the shared notion that the world should never again be involved in such a regrettable tragedy as war? Until 1954 Armistice Day remained the day to memorialize the lives lost in WWI and to honor its ending. Becoming Veterans’ Day, the holiday honored all those who served in the armed forces at any time. You could say WWII had two Armistice Days — VE Day (Victory in Europe) on May 8, 1945 and VJ (Victory in Japan) on August 15, 1945 or September 2, 1945 depending on how you measure the end of the war officially. US troops returned home in full force. There was shortage of boats, trains, buses, and automobiles to bring everyone home to their final destinations. Many had earned their ‘points’ needed to honorably discharge from the military and once they hit shore, were relieved of duty and free to go on their way in a very big hurry. Shortages in civilian attire made it difficult to determine who was discharged and who was AWOL. It wasn’t possible for every soldier to simply change out of uniform into civilian trousers, shirts, or suits to become non-military. Therefore, the discharged soldiers were given a lapel pin to wear, signifying their approved departure from the military. It was officially called the Honorable Service Lapel Button and was crafted of glit metal or glit plastic during metal shortages (the plastic versions were allowed to be traded in for a brass version when supplies returned to normal). Though the design is of an eagle standing, about to take flight with one wing outside of the button’s round border, the pin became known as a “Ruptured Duck” because the eagle didn’t quite look as regal as one would hope. 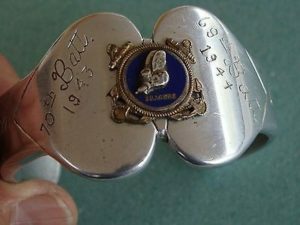 Some veterans wore the button on their civilian lapels for many years after the end of the war and it became widely used as an unofficial symbol of veterans’s pride. 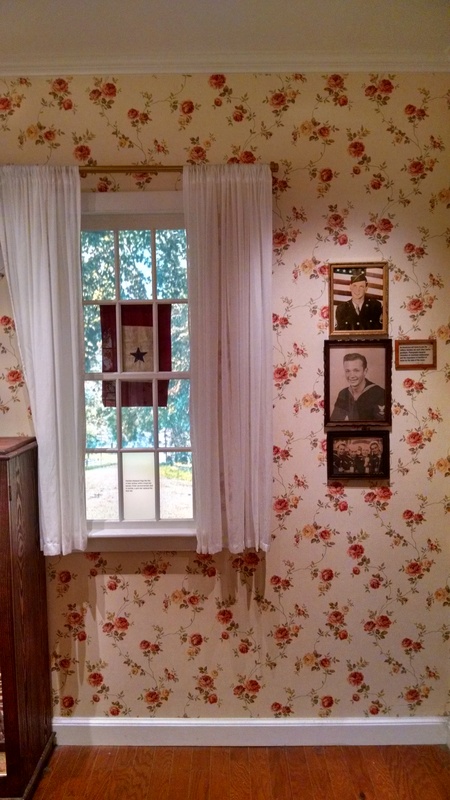 Other signs of a veteran’s home was of course, the blue star banners hung in windows of homes. The number of stars represented the number serving from the same home. 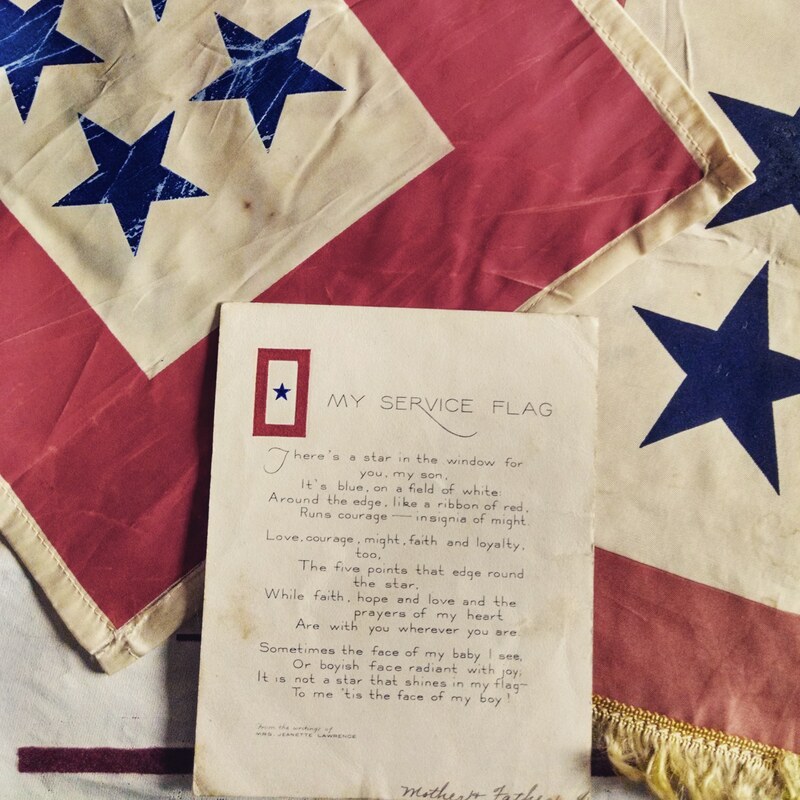 A blue star would be covered with a gold star if the serving family member died in service. One more sign displayed, though not as often, was a welcome home banner. Many versions were used and are very hard to find circulating in antique shops or estate sales today. 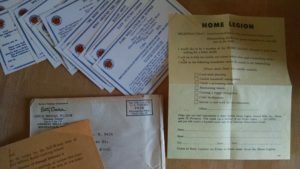 The military scrambled to discharge the troops efficiently, but there were many things to consider – life insurance benefits, payroll, bonus dollars, housing, certificates of honorable discharge — lots of paperwork to process. The Department of Veterans Affairs had only been established in 1930 and was still learning the best way to process the 16.5 million men and women who served during WWII (before computers!). It was quite an undertaking and involved many steps that could be mistakenly missed or skipped if not careful. 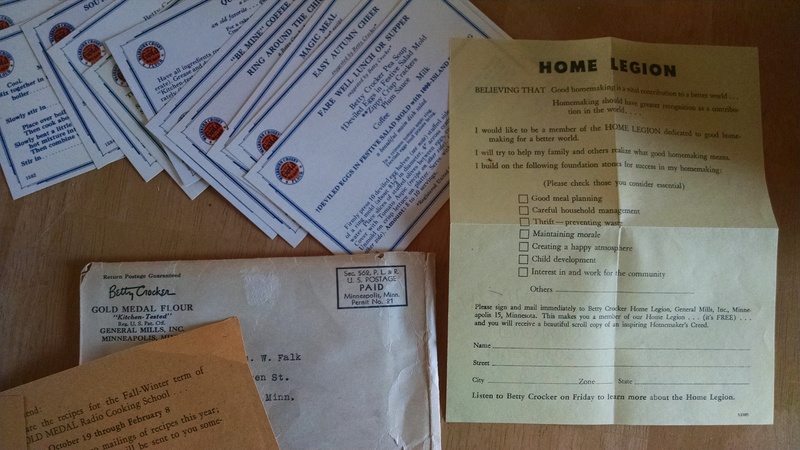 Pamphlets were given to the soldiers, sailors, airmen, and marines in hopes of making the transition go smoother. Today, Veterans’ Day 2018, an estimated 496,777 veterans of WWII are living. To each and every one of them I say — Thank YOU and may you live all your days in peace and comfort for the unfathomable valor of your service. And to the home front veterans of WWII — Thank YOU for the inspiring example of courage, resolve and tenacity that would be impossible to replicate today. 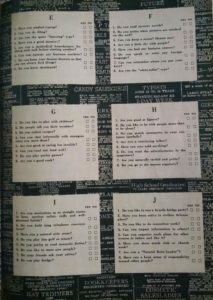 I just completed a quiz included in the December 1943 Woman’s Day magazine to help me determine “Where Do I Fit In”. 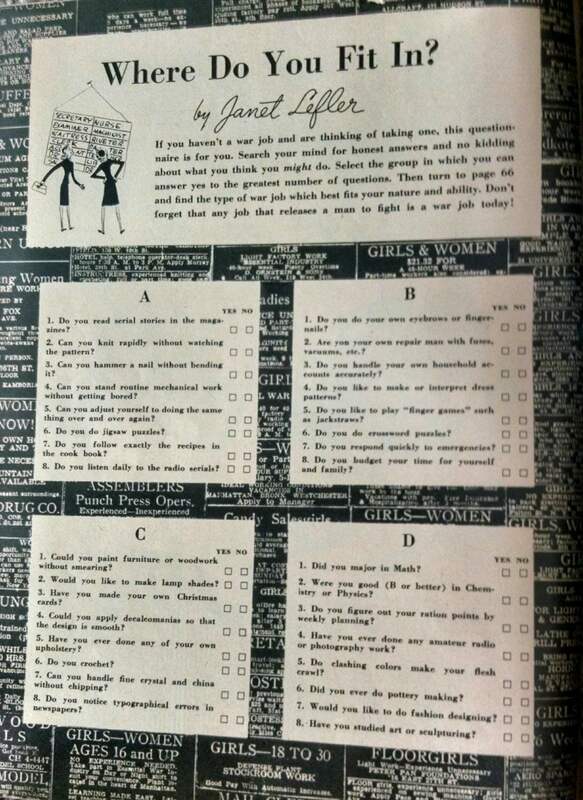 For women who were contemplating a war job, this quiz may have helped to correctly choose the best category to explore. 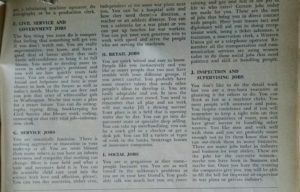 Ranked answers bring women to ten different categories: A) Manual Jobs, B) Mechanical Jobs, C)Painting or Textile Jobs, D) Scientific Jobs, E) Clerical Jobs, F) Civil Service and Government Jobs, G) Service Jobs, H) Retail Jobs, I) Social Jobs, and J)Inspection and Supervising Jobs. Women in Manual jobs were needed in canneries, meatpacking or agricultural work. Mechanical jobs meant lathe operation, drill press, plastic molds, wood working, welding, riveting, or instrument making. Painting and textile jobs were for making parachutes, cover airplane wings, do upholstery in planes, spray painting, doing insignia painting or being a “doper” on plane wings. 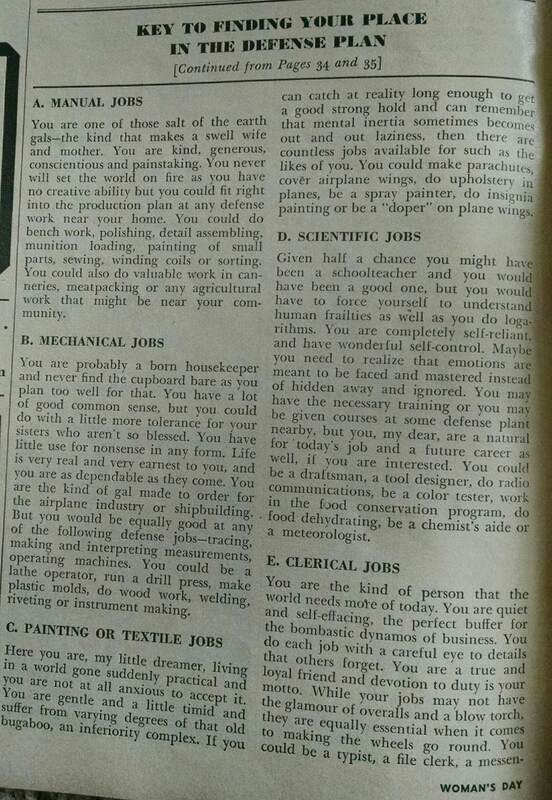 Scientific jobs were for schoolteachers, and they could do draftsman work, tool design, radio communications, color testing, work in the food conservation program, do food dehydrating, become a chemist’s aide or a meteorologist. 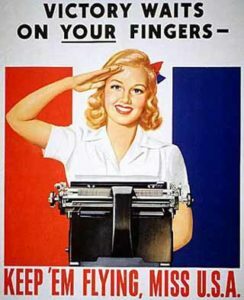 Clerical jobs “may not have the glamour of overalls and a blow torch”, but equally essential was the typist, file clerk, messenger, tabulating machine operator, stenographer and production clerk. Service jobs were for ‘essentially feminine’ women who had “nothing aggressive or masculine in their make-up”. Think scientific child care, running day care nurseries, being a hospital aide, a dietician, teacher or athletic director. She could also run a cafeteria in a war plant. Retail jobs for those “quick witted and easy to know” girls. 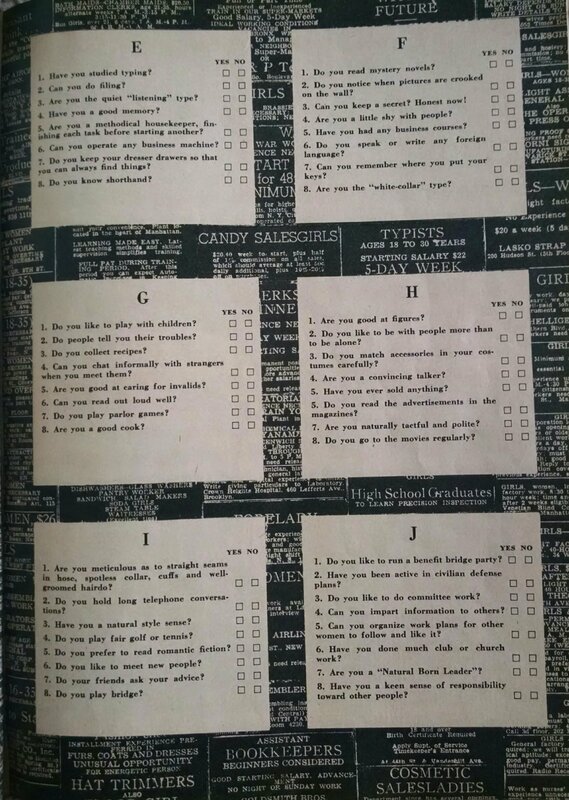 According to the quiz, she can take up merchandising, be a stock girl or a checker or get a desk job. She could also fill a variety of jobs in banks, brokerage houses, or insurance companies. 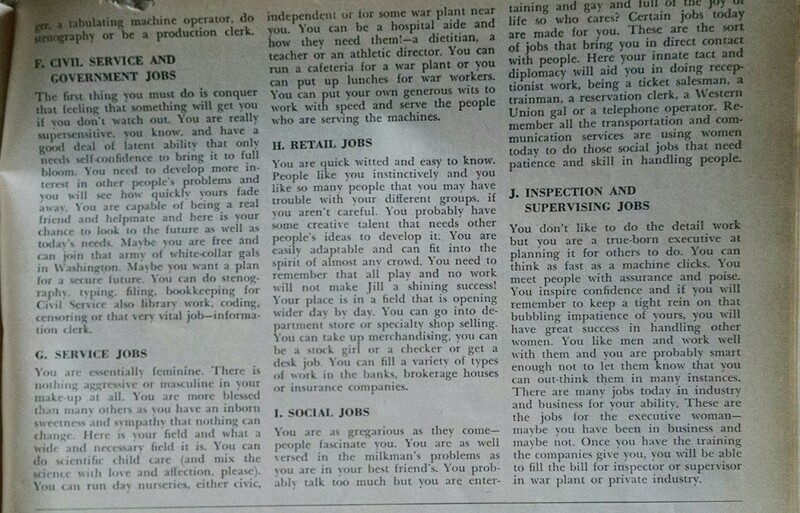 Social jobs were for those “as gregarious as they come”…You probably talk too much but you are entertaining and gay and full of the joy of life so who cares?” These women were advised to become a ticket salesman, trainman, a reservation clerk, a Western Union gal, or a telephone operator. It turns out I tied in highest rank for two categories: Manual and Clerical. Do you read serial stories in the magazine? 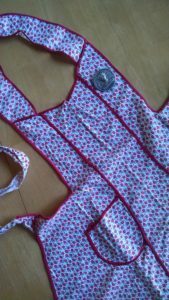 Can you knit rapidly without watching the pattern? Can you hammer a nail without bending it? Can you stand routine mechanical work without getting bored? Can you adjust yourself to doing the same thing over and over? Do you do jigsaw puzzles? Do you follow exactly the recipes in the cook book? Do you listen daily to the radio serials? 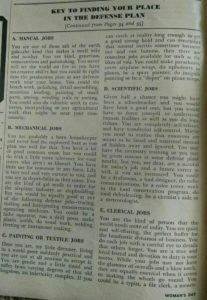 Manual Jobs: You are one of those salt of the earth gals – the kind that makes a swell wife and mother. You are kind, generous conscientious and painstaking. You never will set the world on fire as you have no creative ability but you could fit right into the production plan at any defense work near your home. You could do bench work, polishing, detail assembling, munition loading, painting of small parts, sewing, winding coils or sorting. You could also do valuable work in canneries, meatpacking or any agricultural work that might be near your community. Are you the quiet “listening” type? Have you a good memory? Are you a methodical housekeeper, finishing each task before starting another? Can you operate any business machine? Do you keep your dresser drawers so that you can always find things? Clerical Jobs: You are the kind of person that the world needs more of today. You are quiet and self-effacing, the perfect buffer for the bombastic dynamos of business. You do each job with a careful eye to details that others forget. You are a true and loyal friend and devotion to duty is your motto. While your jobs may not have the glamour of overalls and a blow torch, they are equally essential when it comes to making the wheels go round. You could be a typist, a file clerk, a messenger, a tabulating machine operator, do stenography or be a production clerk. How much fun was that? Now, back to work I go! Summer heat. Thank goodness for air conditioning, right? Can you imagine living without it? Can you imagine a summer road trip without air conditioning in the car? Although it was invented by Willis Carrier in 1902, air conditioning was not a home feature during WWII. It was used primarily for industrial quality control. 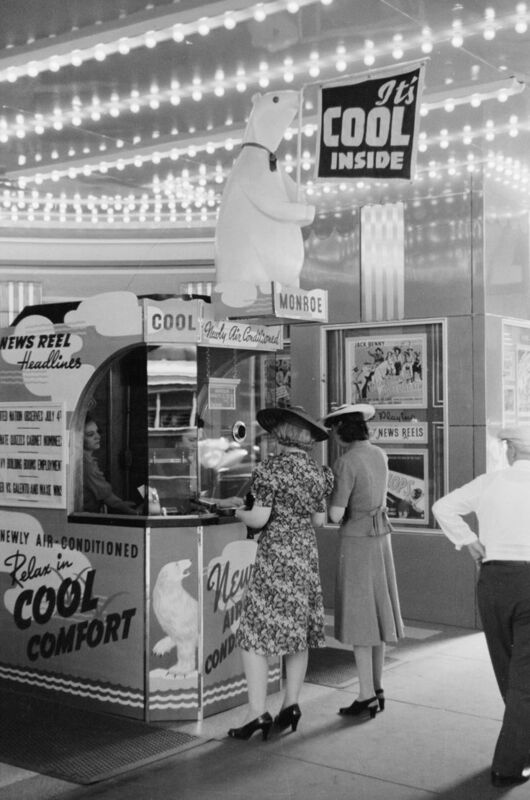 Air conditioning became an attraction during the summer of 1925 when the Rivoli Theater in New York City installed it as an experiment to see if summer receipts would be positively affected by such a posh comfort. Boy, was it ever well received! Soon, movie theaters across the country were installing air conditioning systems and pulling in crowds that went to the picture show primarily for the comfort of cooled air and a couple hours of relief from summer heat. But how else did one survive the heat on the homefront during the war? Building materials were different. Homes built from earthen materials have been proving their worth since Man lived in caves, but how often do we still find new construction of stone or brick? These materials kept heat out. Buildings were structured differently. Think old-school, literally. 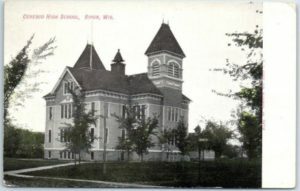 Do you ever pass an old schoolhouse (becoming more rare by the day) and notice how different they are compared to modern school buildings? Back when school days were not called for being too hot, they were built of stone or brick with high ceilings, transoms, ceiling fans, and windows that actually opened and let in cross breezes between rooms on the opposite sides of the building. Homes too, were structured differently. The layout of a typical floor plan had a stacked effect that allowed open stairways that vented heat up. Upper floors were used only at night with the windows open – hopefully with a breeze of cooler temperatures. 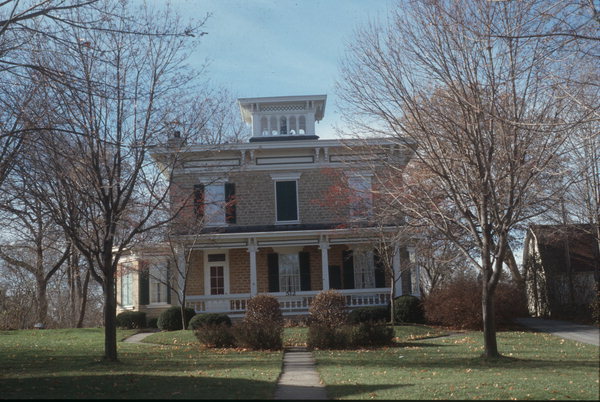 Turrets, cupulas, vestibules, or a widow’s walk were not just attractive on the top of a home, but also served the purpose of ventilating the whole house, or acted as a wind catcher no matter direction the wind blew. Awnings and window hangs were added to shade out the sun. Shade trees were planted on the east and west side of houses to add additional shade. 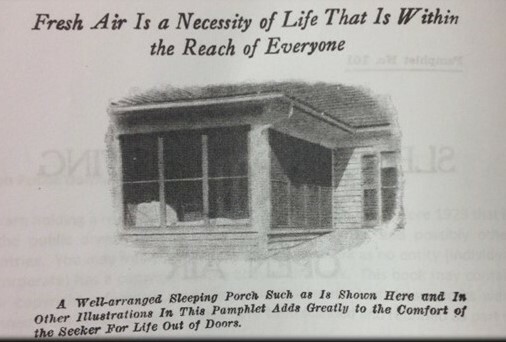 And let’s not forget the importance of porches. Some were screened on all sides to create a sleeping porch and others simply served as a place to sit out away from the heat inside. Iceboxes were called on for relief. Some folks shared stories of putting bed sheets or even their underwear in the icebox or freezer to bring the temperature down to comfortable. Natural pools weren’t for scenic beauty only. You’d find people at creeks, streams, and lakes taking a dip or wringing out towels to wear around their necks while motoring through or working in the garden. 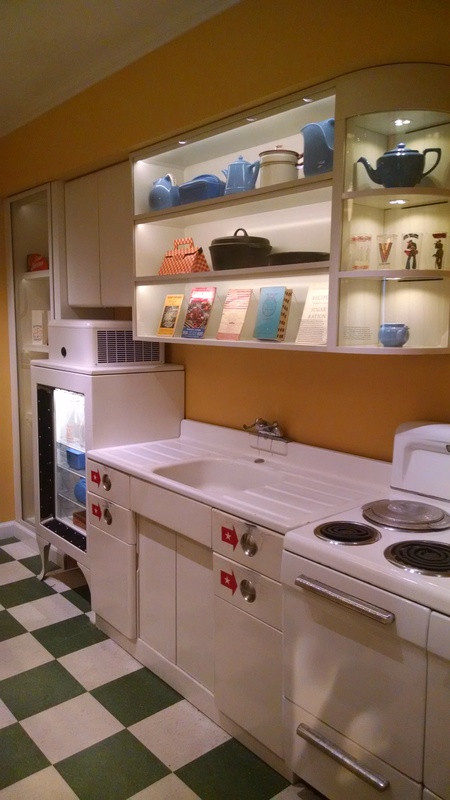 Kitchens were put to use. Summertime meals were no-bake as much as possible. Sandwiches with a variety of spreads, homemade lemonade, fresh from the garden salads and raw vegetables were typical. Cold soups were plain, but welcomed. No-bake desserts were perfected as refrigerator technology and community freezers became more common. Lunchbox for Tomorrow – Cream Soup of Leftover Vegetables, Liver Sandwich Filling on Whole Wheat Bread, Deviled Cheese Sandwich Filling on Bran Bread, Whole Tomato with Salt and an Apple. 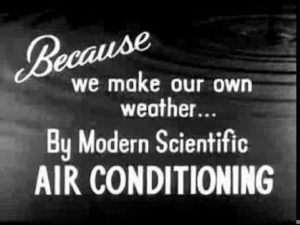 Following WWII, air conditioning was a noted amenity of newly constructed suburban homes to many newlywed couples. Adding modern cooling remains a big project to homes built prior to the war. As common as AC has become, most of us can’t imagine living without it and its constant hum in the background. Where winter used to draw us indoors to hibernate, air conditioning in the summer has accomplished the same anti-social act. Instead of sitting on the porch or under a tree with neighbors and iced drinks to cool off, we stay inside only going out to rush from our cooled homes to a cooled car on our way to a cooled store or office to do our day’s chores or errands (usually toting a light sweater in case the building is too cold!). Yes, we are miserable in summer’s heat but maybe we can be miserable together again sometime. Her statement stayed with me after she ran off and I thought about it throughout the day — and still am as this is almost a year later when I write this. I had heard about The Common Core education standards years ago when in 2013 it was determined cursive was no longer a needed skill to teach in school. It takes too long to teach, especially when increasingly computers, tablets, and phone texting has all but totally replaced every day message delivery. In the context of The War In My Kitchen, I’m feeling very concerned about the extinction of family recipes. For one reason, while some home-delivery cooking programs like Hello Fresh® and Blue Apron® are bringing cooking back to the home, they are making it almost too easy. It is real food, and in many cases good food, but with it magically showing up at the door, we’re not learning about where food really comes from. Not even from a grocery store anymore, are kids to think cabbage grows in a FedEx® truck? Second, the corporate recipes are coming printed on glossy card stock in color with lots and lots of how-to pictures through the steps. We’re missing lessons handed down from family members actually showing the techniques and family way of doing the steps. Third, the saddest to me is that we are losing the hand-written — cursive — recipe card with ingredient stains on a scrap of paper or index card. These cards appear to be written in code to someone younger than fifth or sixth grade. 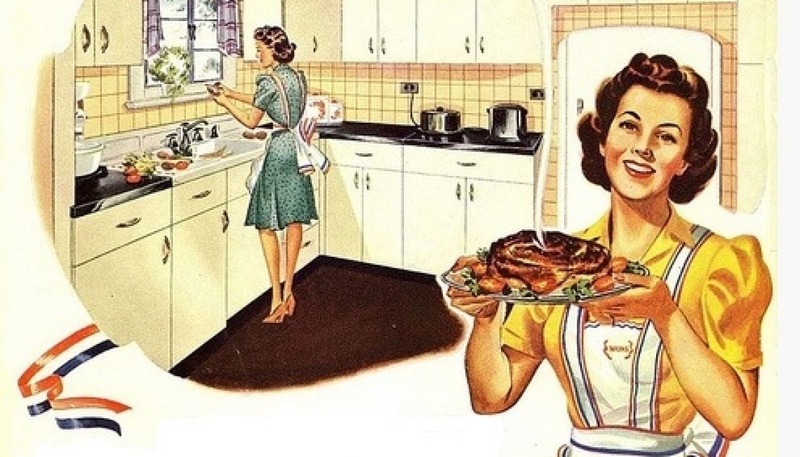 Maybe one day it will become in fashion again to learn old-fashioned cooking and baking using the “retro” system of recipes written in cursive; I hope so anyway. If we move too far beyond the current generation of not learning cursive, the recipes will fade and become lost. Sure, we can take the time to transcribe the hand-written recipes to computer and print them out or store them on a flash drive, but we lose something in translation when we stop reading the recipe written in the hand of a great-grandmother or great-aunt who learned very well the core lessons of reading, writing, and arithmetic. * Yes, even though I live in the very modern suburbs of Chicago, I insist on old-fashioned treatment from my neighbors where we indeed pass pantry items over the fence or share recipe details. We need to get back to this sort of living and I plan to share some advice that First Lady Eleanor Roosevelt shared with me (and others) very soon. What was Christmas like during the war? 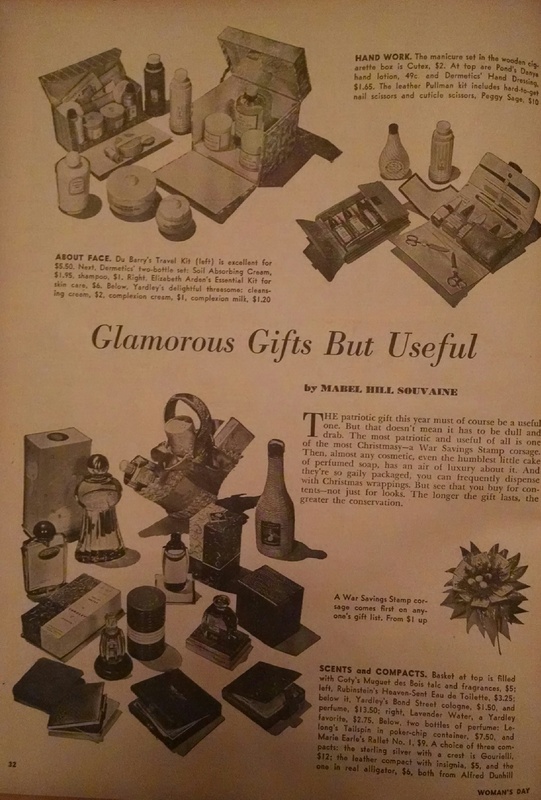 For a peek, I turned to the December 1943 issue of Woman’s Day Magazine. “Fewer chocolates are on the shelves for civilians since candy makers are manufacturing more 5-cent bars in order to reach more people. The greater part of the familiar candy-bar brands are being sold to soldiers, sailors and marines, while the newer brands, made in place of the ordinary chocolates, find themselves on the 3-for-10 counters. 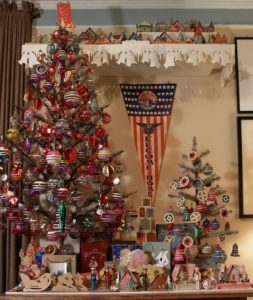 A Christmas ham tradition remained strong during the war. Famers produced in record as their part in fighting the war, seeing their honor duty to keep our troops and Allies fed, and to keep everyone on the home front content. 127 million pigs were raised for slaughter in 1943; a 6% increase above their goal for the year. This is nearly 5 million more pigs raised than in 1942. Today, an average of 117 million pigs are slaughtered each year (2009). A test black-out will be made on Friday Evening, September 18, 1942 9:00 to 9:15 o’clock. All lights and illumination outside or visible from the outside of any building, either through doors, windows, skylights, or otherwise, shall be immediately put out. Lights inside any building may be kept on or turned on only where no lighting is visible from the outside. No door, window or other exit shall be opened if the opening of the same will allow light to be visible from the outside. All lights on any signs or billboard or other similar structure shall be immediately put out. All street, traffic and beacon lights shall be immediately put out. All persons, except duly authorized persons, shall immediately leave all streets, squares parks and open spaces and shall proceed to the nearest cover, avoiding the crossing of streets, alleys and other public places as much as possible. Operators of vehicular traffic shall immediately draw to the side of the highway or street and stop in such a manner and in such a place so as not to double park or obstruct the reasonable use of the highway or street, fire hydrant or police or fire station driveway or other emergency driveway. Extinguish all lights. No person shall wear any arm band or other insignia issued by the Fond du Lac County Council of Defense unless he shall be entitled to wear the same under the rules and regulations of said Council of Defense. 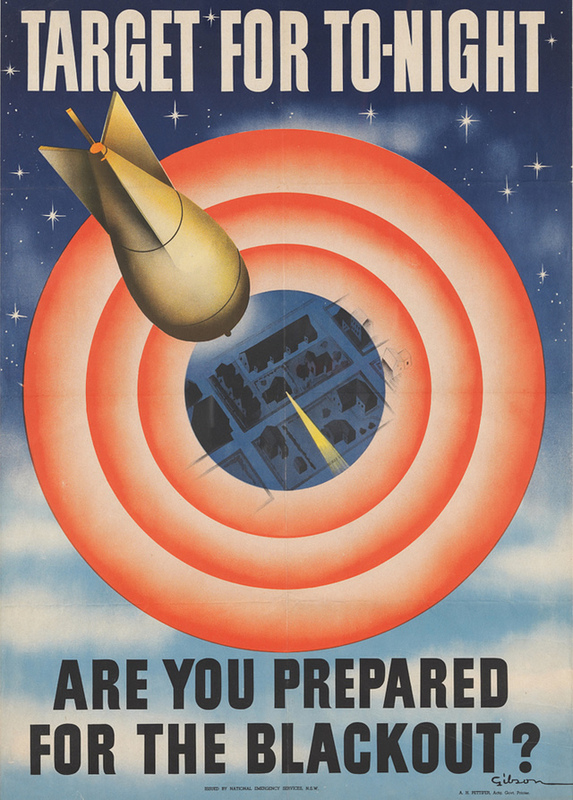 Not common inland as much as coastal areas, black-outs seemed to be one of the scariest realities of nation at war. Pitch black. Everywhere. 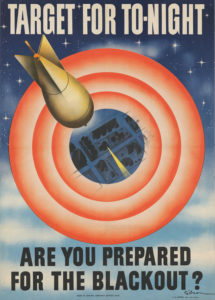 To avoid aerial landmark detection should a bomber threaten the heartland and major supplier of food, black-out drills were important. 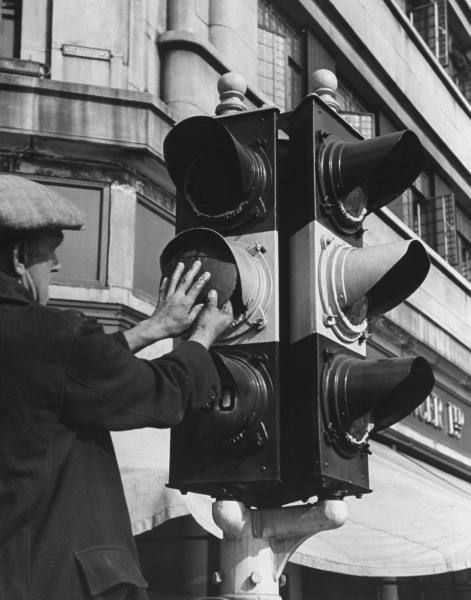 Have you ever noticed stop lights have a shield over the top of each light? The addition of the top shields and traffic lights were a result of World War II and the need to minimize the appearance of streets and heavily populated areas to hide from bombers overhead. 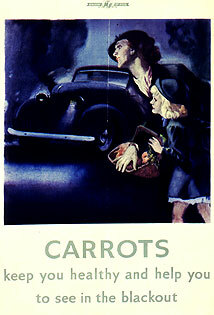 Oh, and those carrots? Well, it turns out the rate of accidents and injuries dramatically increased during black out times. Drivers and pedestrians had a harder time seeing and avoiding each other. It was a problem for sure and one of the safety advisories given by the government that stuck in the mind of my grandmother — eat carrots. They help you see better in the dark.